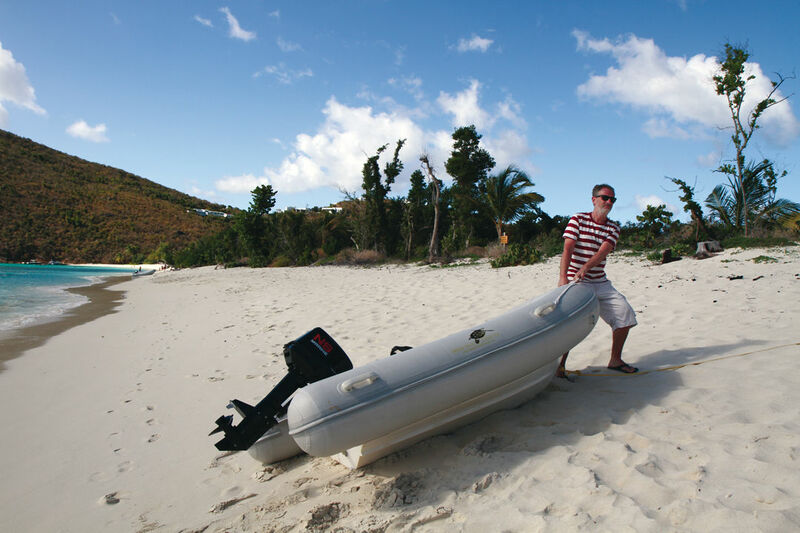 Essential for getting ashore, your tender is the perfect complement to your multihull. 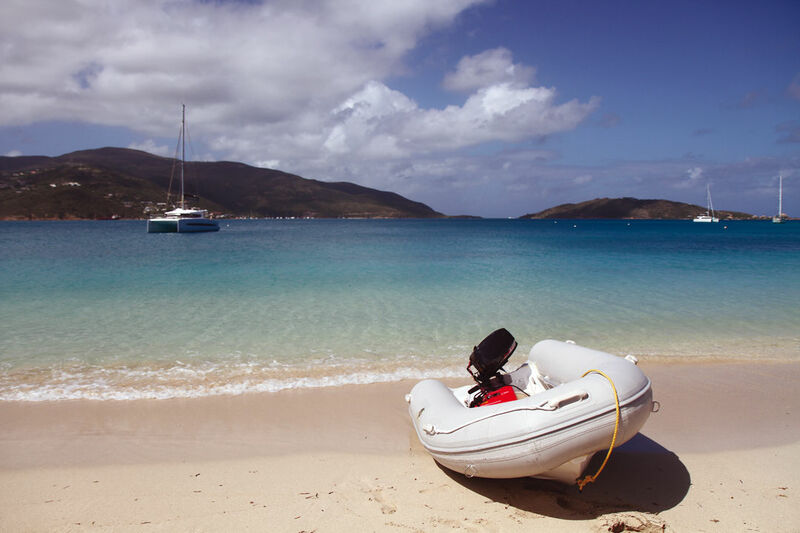 An inflatable dinghy that is forgotten about when under way, at least during long passages (thanks to a pair of davits, between the two hulls for a catamaran), but which can be quickly put back in the water as soon as you’re in that first anchorage. 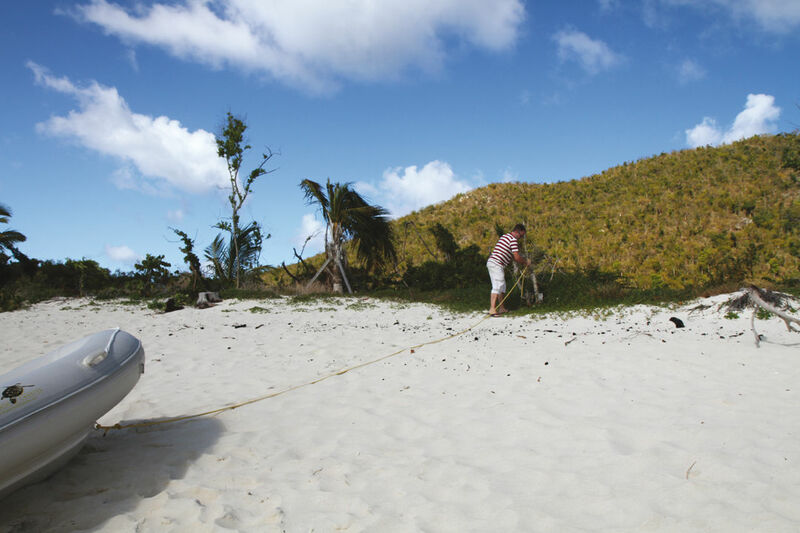 And since multihulls prefer deserted beaches over marinas, the tender is often in use! 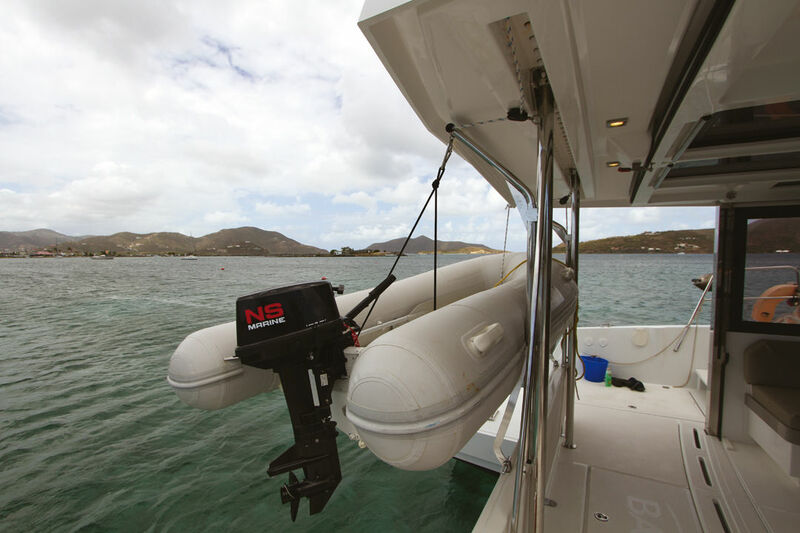 Once your dinghy is in the water, make sure you have your fuel tank (full is better! ), oars, a bailer, the kill switch, and you might need a small anchor. 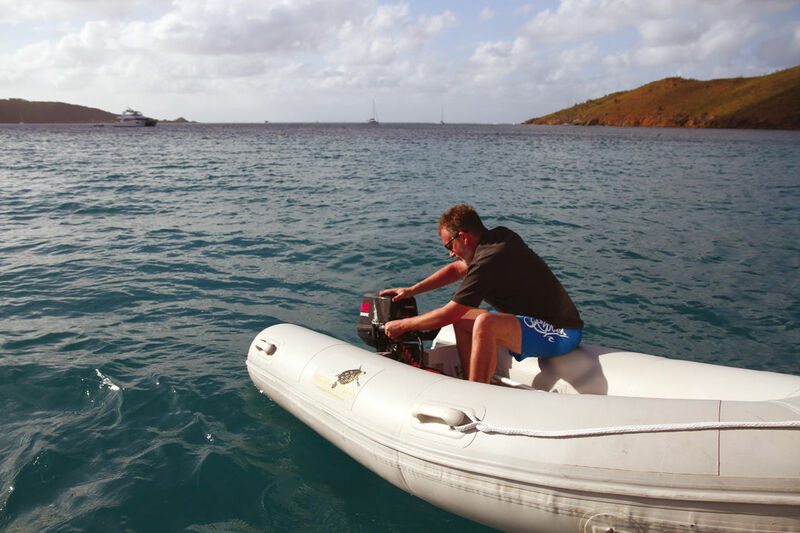 On board your multihull, you must have a pump that works, and if possible, a dinghy repair kit. 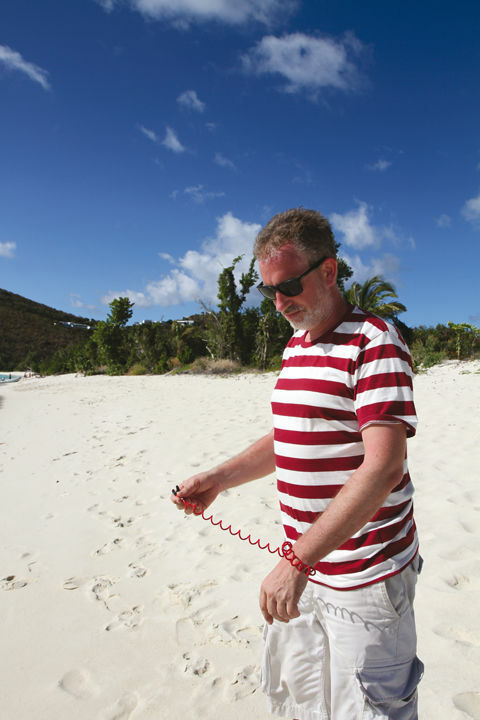 If you’re alone in an anchorage or on your multihull, ensure you put the kill-cord around your wrist. In the event of falling overboard, your engine will shut down immediately. 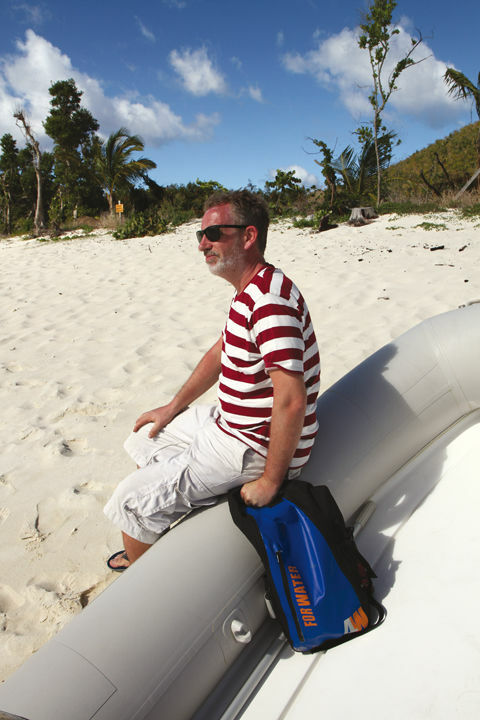 And if the water is cold, put on a lifejacket, auto-inflating or otherwise. Once your engine is in the down position, connect the fuel supply and unscrew the air vent on top of the fuel tank. Pump the priming bulb until it goes hard. Pull out the choke, put the throttle twistgrip at the start setting, and pull the starter cord firmly. 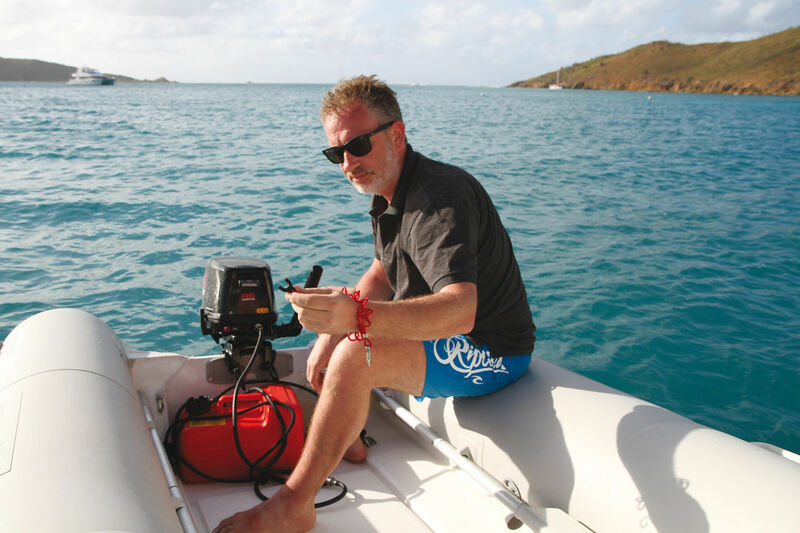 Once the engine has started, quickly shut off the choke and always drop the revs before engaging gear. Choose a calm spot to approach, so as to avoid any surf. As few waves as possible on the beach and preferably no rocks. A careful prior examination of the chart won’t be a waste of time! Lift the engine before beaching. 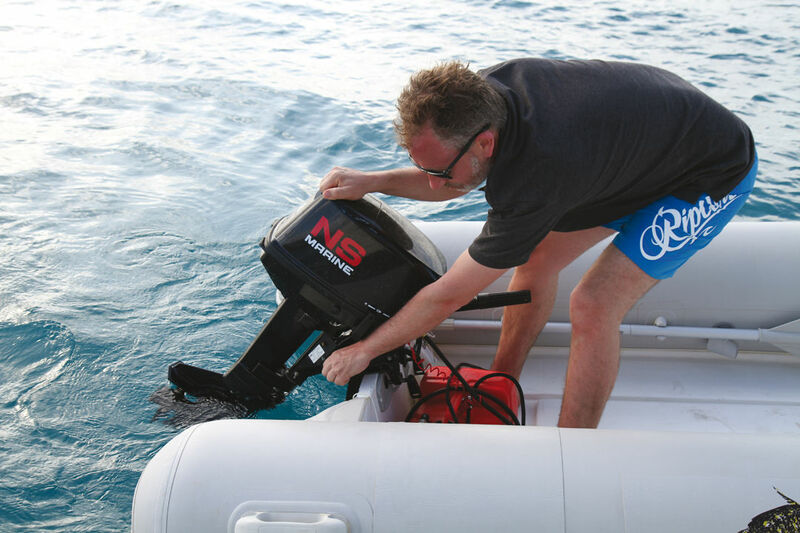 You can continue slow ahead with the outboard leg just flush with the water. Otherwise, turn off the engine and row the last few feet or jump in the water and pull the dinghy ashore. 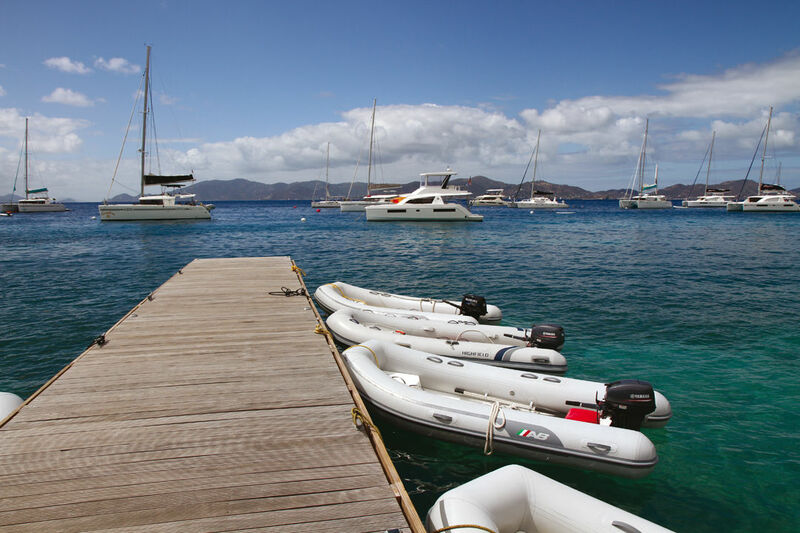 If you moor your dinghy on a dock or pontoon, avoid aggressive surfaces (rocks or barnacles) and make sure to secure the dinghy on the downwind side. 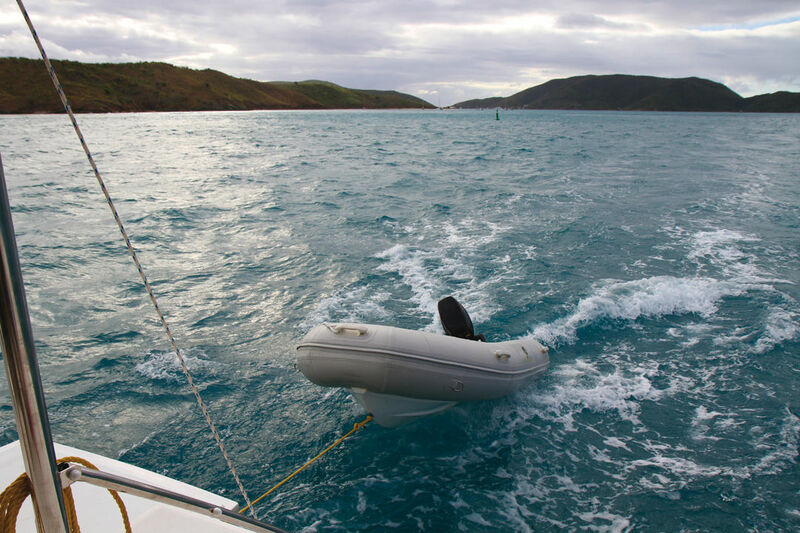 During long passages, it’s best to hoist the dinghy out of the water. Then there’s no risk of it turning over in a rough sea and especially, you’ll have less drag, both under sail and under motor.